I had a lunch date with a few friends the other day. We decided to meet at Boll Weevil Cafe and Sweetery located on 9th Street in Downtown Augusta and catch up and of course eat! This restaurant has a little bit of everything. 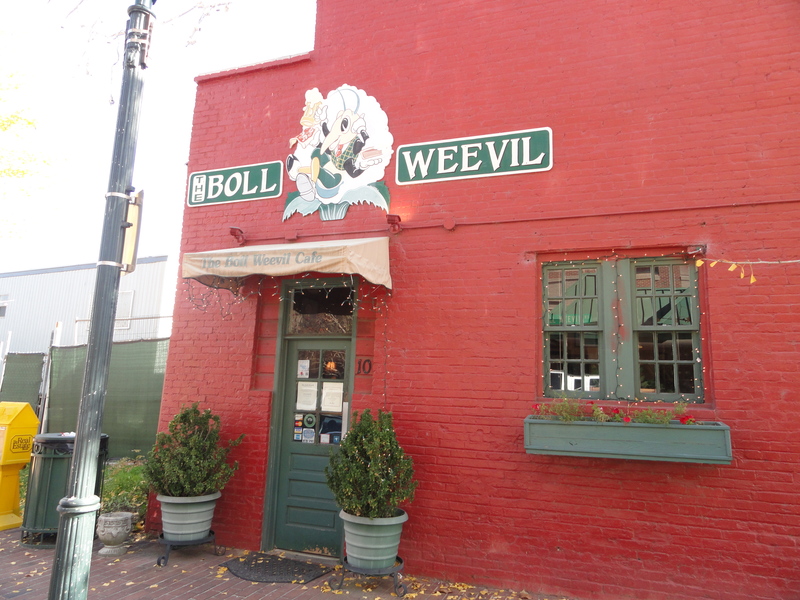 It offers some traditional southern dishes like fried green tomatoes and shrimp and grits, there is plentiful wine selection available by either the glass or the bottle and also several out-of-this-world homemade desserts. As a matter of fact, the readers of Augusta Magazine have voted the sweetery Best Desserts for four years in a row! 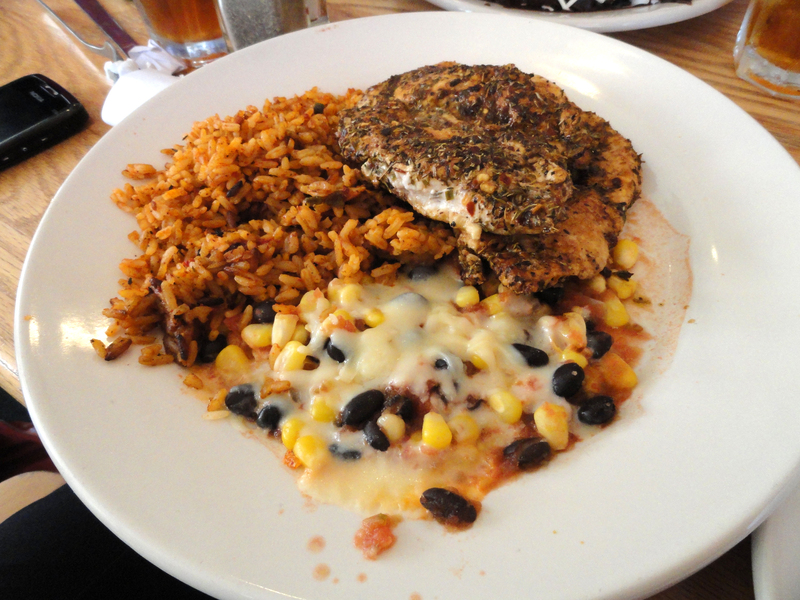 Michelle had the Havanna Chicken, grilled chicken rubbed with jerk seasoning served with dirty rice and black beans with cheese. Leza had the Mahi Mahi, an 8 oz. 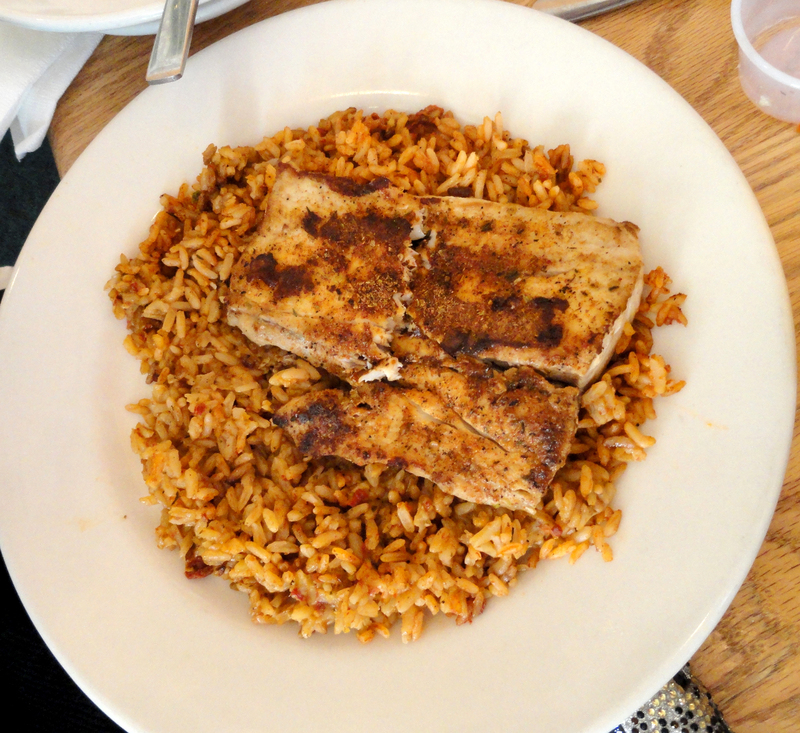 mahi fillet blackened and served over dirty rice with a cream sauce. Tamara and I had the half and half special with the Curious George Sandwich, which is turkey topped with spinach dip and provolone cheese. 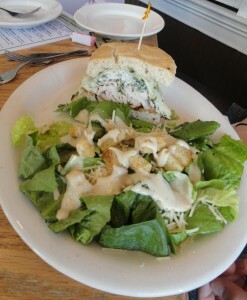 I had the Caesar side salad and Tamara had the vegetable soup with her sandwich. It was Delicious! And of course we had to have some of their award-winning dessert! We decided to split one of their famous desserts, the 7th Heaven Cake, two rich chocolate layers of cake sandwiching a layer of cheesecake covered in butter cream, topped with ganache and chocolate chips. So tasty, but so large, between the four of us had trouble finishing it! 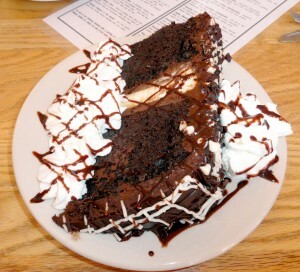 The cafe offers fantastic lunch and dinner specials, but are known in the Augusta area mostly for their desserts. Check them out!